Customize your tombstone below and press the "Make the tombstone!" button. 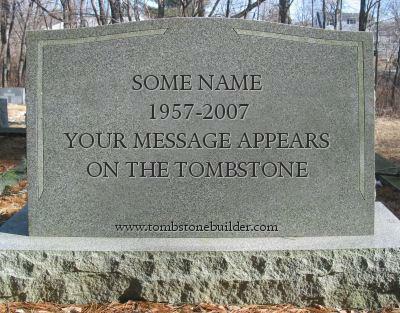 Your custom tombstone will be shown containing the text that you entered. What should you put in your custom tombstone? It's up to you! The only limit is your imagination. Does someone you know deserve a medal?